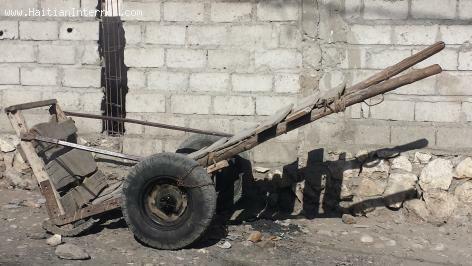 All over Haiti you see men humped down pulling this wooden wheelbarrow filled with merchandise that a pickup truck cannot carry. Sometimes I don't know if I should feel sorry for the man or the country he lives in. If we Haitians are really building a society that man deserves a better alternative. Those carriers are common in the third world.